I spent all day editing this video. Hey, I’ve been writing a lot, I gotta take a break sometimes… ps Americans, I don’t think you’ll get this. But I love you. 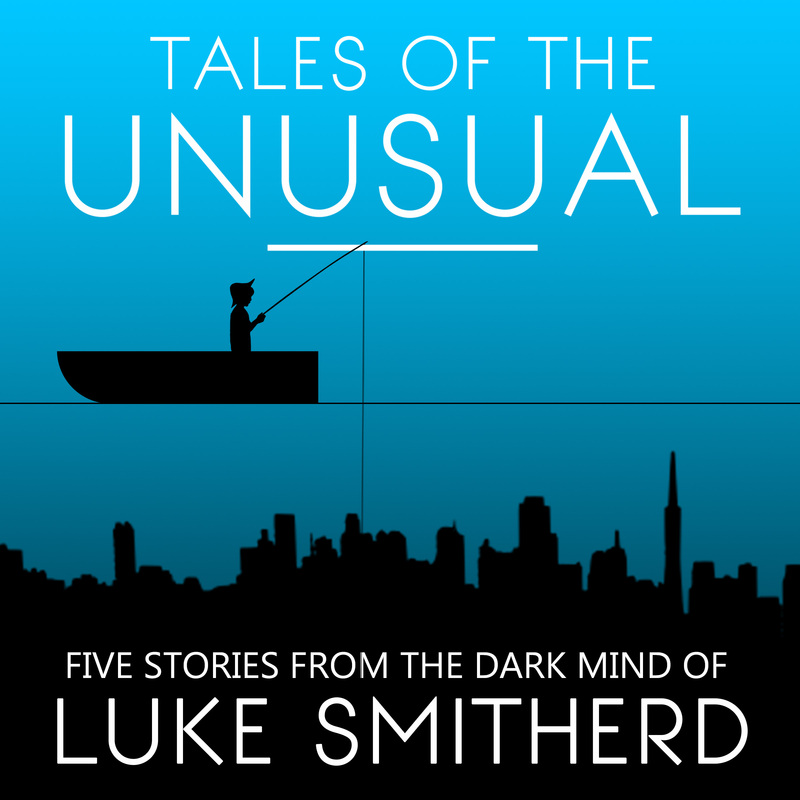 This just in: my new Audible ONLY release, Tales of the Unusual, is out NOW! Not pre-order, but actually out and available right now. It’s only available on Audible because this book collects the stories in He Waits (He Waits and Keep Your Children Close) Do Anything (Closure and Your Name Is In The Book) as well as an audiobook exclusive publication of The Jesus Loophole. I didn’t want to release these as a collected edition in print or ebook form as I didn’t want to affect sales of the individual versions of those books, but wanted to give audiobook ‘readers’ a chance to hear these stories too. “Keep Your Children Close”: A campsite. A family holiday. A broken down car. And an approaching breakdown truck that is just the start of Shelley’s nightmare. By the time the sun sets, someone in that field will be dead, and Shelley must somehow make sure it isn’t one of her children. “The Jesus Loophole”: Published here for the first time, in any format. Obsession, revenge, and a very big question: can God’s system of sin and redemption be played to your own advantage? “Closure”: A winter walk in the woods seemed like a great idea to Gary and his wife, Carla. But when another version of himself appears and kidnaps Gary’s wife before his very eyes, Gary must decide whether or not to use the strange mechanical devices his duplicate has left him…and then live with the choice. “Your Name Is In The Book”: When 11-year-old John Diner comes home to find an immense, mysterious book lying on his bed – its cover torn off, every page an endless list of names, some of which even belong to people he knows – he assumes its some kind of phone directory. It has to be, right? Even when the only numbers inside are single digits; solitary and curious scores printed next to each person listed. A puzzle, for sure…and a warning. A desperate message from an unseen stranger, a man trying to explain a terrible truth. John will find himself uncovering a darker reality than he can ever imagine, and the beginning of his road towards an impossible choice. Can You Write A Better Blurb Than Me? Hello everyone. A lot of you will have read my fourth (technically fifth) novel, A Head Full Of Knives. It has nearly 200 reviews on each side of the Atlantic, with scores of 4.7 (UK) and 4.5 (USA). That’s pretty respectable, both in terms of review numbers and overall score. So what’s the problem? To put it into context: at the time of writing, my top four bestselling books are The Stone Man, In The Darkness, How To Be A Vigilante, and Kill Someone. The order changes a lot (although Cementum himself is pretty much always at the top, as much as Charlie and Minnie knock him off the top spot more and more these days… ) but generally that’s it. The Physics of the Dead will sneak in there too sometimes, as does Weird. Dark. I’ve tried three different covers, and all sorts of optimisation tricks in the book’s setup (trust me, I’ve tried them all), and two completely different blurbs. I think a fourth cover is in order, and a huge part of the problem is with the book’s title (it just doesn’t appeal the way the others do.) It’s too late to do anything about that… but the cover can be changed. As can the blurb. And that’s what I want you to help me with. With Vigilante and Kill Someone, I can tell you what the book is all about, and it doesn’t ruin the story. Have you given away any major parts of the plot, or spoiled any of the fun or intrigue of the book? The answer, I would think, would be no. Therefore I can say in those books’ blurb exactly what they’re about, sell the story to the reader, and kill none of the fun. Now take a story like The Man On Table Ten. A story where, until about halfway through the book, you have no idea what the guy’s big secret is… and that’s what has kept you reading the story. Once that secret is revealed, the story becomes all about how not only the Man himself handles that secret, but the waitress’ response to it. Now imagine reading that story when you already know what the secret is. It would still be good (I hope) but you’ve taken a huge amount of the book’s hook away. Now multiply that driven-by-the-mystery angle by about five, and you have A Head Full Of Knives. The book is literally mystery-reveal, mystery-reveal, mystery-reveal for the entire plot. Now try and sum up what that story is about without giving anything important away, and still make it sound appealing to the average reader. You can see my first effort on the book’s Amazon page, and if you have an early paperback copy you’ll have the original blurb too. Think you can do better? Good. Guess what? We’re going to have a competition. Come up with your own blurb for A Head Full Of Knives and send it to me by January 1st, and I’ll not only pick the best one and use it on the book’s Amazon page, Audible page and on the paperback version’s back cover, but I’ll send you a signed paperback copy of the book with the new cover and your blurb on it, thanking you for coming up with that blurb. Important: if I don’t think any of the entries are quite right, I’ll be honest, they won’t be used, but I’ll still pick my favourite out of those and send the winner their copy of the new version of the book. Believe me, though; I really hope someone does produce a belter here because I would be very happy if they did. Get thinking, get writing, and have a happy festive period. PS if you’ve read the book but never put your review up on Amazon UK and USA… well… ah, do I really even need to say it these days? Method: you can’t use a gun. You can’t use explosives. You can’t use poison. It has to be up close and personal. You don’t have to worry about leaving evidence; that will be taken care of. Victim: no one suicidal. No one over the age of 65. No one with a terminal illness. Choose your method. Choose your victim. Chris Summer was a 21 year old call centre worker and a drop out. A nobody, still living at home with his parents. Then one day the Man in White came to his family’s house, offering a seemingly impossible choice: kill a random stranger – one of Chris’ choosing – within twelve days in order to save the lives of five kidnapped siblings. Refuse, and they die slowly and painfully. 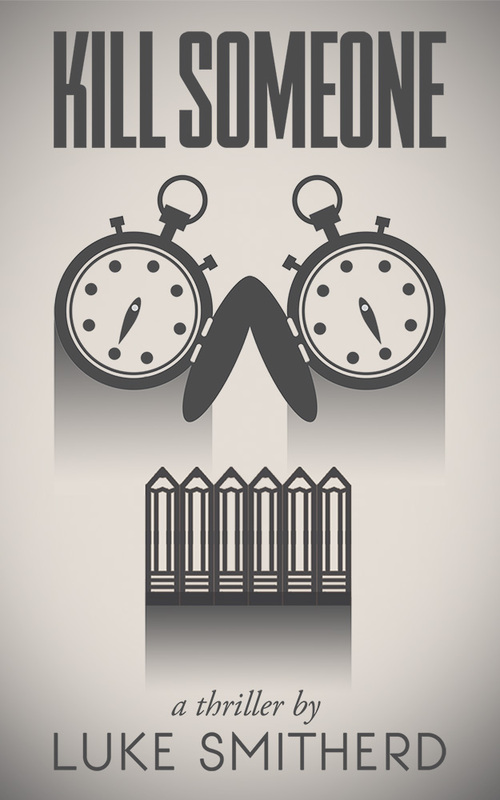 The clock is ticking, the Man in White is watching, and Chris has some very important choices to make. This is a tale of fear, indecision, confused masculinity and brutal violence; a story of a coddled young man thrust into a world of sharp metal and bone. Sound interesting? No? Oh. Well… uh, goodbye then. Sorry. But for those of you who are still here, here is the pre-order link so you can go and buy your copy now, and the book will automatically appear on launch day on your device! I love the future! Click here to go to the Amazon pre-order page for Kill Someone! If you sign up to Luke Smitherd’s Even More All-New Premature Release Review Group at the link below, you will get a copy of Kill Someone three weeks before it officially comes out. All I ask in return is that you promise to leave me a review on launch day, and send me a screen grab or a photo of your review (and yes, you get a reminder email on the day so that you don’t forget ;-)) There’s a better explanation of the rules on the sign up link below, but that’s pretty much it. Either way, you can have a read before you decide to sign up. Were you already on the last list? That’s great, but, um… I managed to delete everybody’s Amazon Reviewer names from my files, which were vital. So I’ve had to start a new group. Current reviewer group members will be getting an email explaining that they need to sign up again too, so watch out for that (sorrysorrysorrysorry). Important point: I’ve been asked this a few times by review group members in the past, so I’ll say it here: a lot of you want to ‘support the cause’ so to speak. Thank you. Some people say they want to pay (thank you) and so don’t join the early review group. Guys! You can do both! Even if you pre-order you can still sign up for the Premature Release group, and you’ll still get the book early in return for a launch day review. This is, obviously, the ideal situation for me, but don’t feel in any way guilty if you just wanna get it free. The launch day review system worked really well last time and I’m very grateful to all the people that kept up their end of the bargain. So here are your links. Take whatever action you deem appropriate, and thank you for being a part of my team! Probably not a good idea to mention any association with me when in a job interview, or under ‘interests’ on a CV/resume. They haul you away for that sh*t.
Click here to sign up for Luke Smitherd’s Even More All-New Premature Release Newsletter! PS the podcast it still going by the way. Are You Sure? with Smitherd and Shaw. Check us out on whatever podcast platform you use. We’re funny. 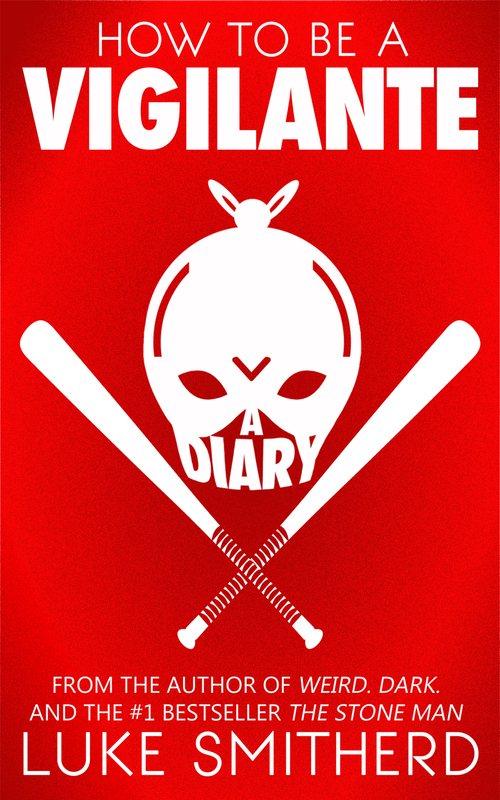 How To Be A Vigilante: A Diary is now OUT! In the late 1990s, a laptop was found in a service station just outside of Manchester. It contained a digital journal entitled ‘TO THE FINDER: OPEN NOW TO CHANGE YOUR LIFE!’ Now, for the first time, that infamous diary is being published in its entirety. It’s 1998. The internet age is still in its infancy. Google has just been founded. Eighteen year old supermarket shelf-stacker Nigel Carmelite has decided that he’s going to become a vigilante. 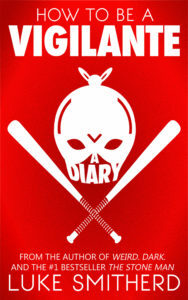 Want to get ‘How To Be A Vigilante: A Diary’ a month early? Yep, my new novel How To Be A Vigilante: A Diary (although technically its my very first novel) is available for pre-order on Amazon now by clicking here! It will then be automatically beamed to your Kindle when its released on September 14th. So go pre-order now! Waaaaaah! Pre-order How To Be A Vigilante: A Diary here and have it ker-zapped to your Kindle on the day it’s released! But wait …of course, you can just do that. Of course you could. But …how would you not only like to get it a month earlier than the release date, but for free? 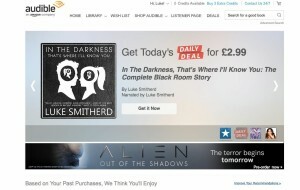 All you need to do is click on the link below to sign up to my all-new Luke’s Smitherd’s All-New Premature Release Review Group. That’s right, the old group has been dismantled for reasons that will be explained when you click on the link (don’t worry, you can read them before you decide sign up or not; the link just takes you through to a rules and reviewer info page.) The rules are a bit stricter this time because a few people took advantage last time, sadly, but in a nutshell what you need to agree to do is this: read the book, and put up a review on September 14th. In return, I’ll send you an advance review copy of the book to read, absolutely free. Click here to go through to the Luke Smitherd’s All-New Premature Release Review Group rules and signup page! 1. Yes, if you’re already a member of the old group, you have to sign up to the new group to take part.Sorry. There’s a reason why and it’s on the rules page too. 2. People often ask if they can pay when they get a free review copy; of course you can. Just click on the pre-order link above to buy the book, and I’ll still send you your copy early if you join the review group. 3. Yes, if you join the group and don’t keep up your end of the bargain, you will be banned from the mailing list and any future offers. I really, really hate to talk about stuff like that but if you did that I would consider it theft, and you, a cad. 5. Audiobook guys: sorry, but i can’t send you an early audiobook version I’m afraid. However, once it comes out, there will be free download codes going around in exchange for reviews. More on that nearer the time. 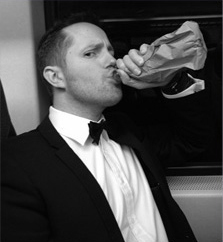 Ok, it’s all been signed off and confirmed and so now I can officially announce the big bit of news that I’ve been hinting at. 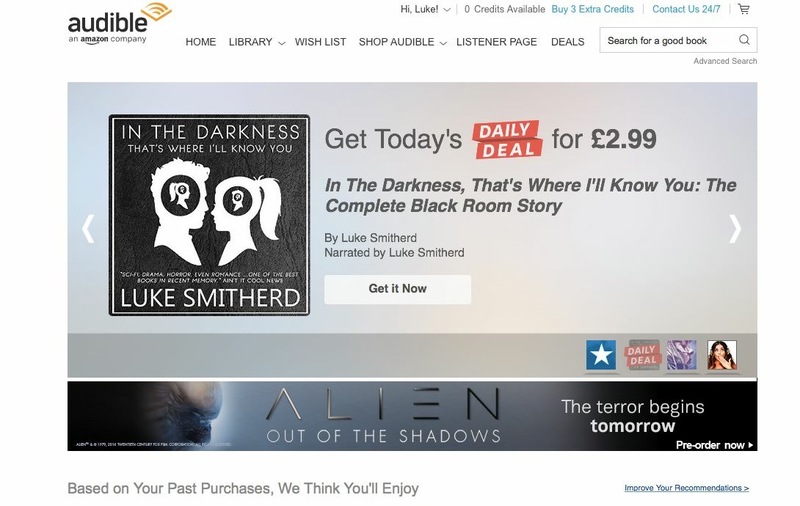 Audible are actually going to produce and publish the audiobook of KILL SOMEONE. ANYONE. An advance has been agreed and, more importantly, they’re going to be marketing it. That last part, as you perhaps already realise, is absolutely huge to someone like me who has only had themselves – as well as some of you guys who really help spread the word, and recently Joanne Giovenco whose I would like to publicly thank for her invaluable help, as well as Laurence and Henna at Audible and of course Sophie at ACX – to try and get the books in front of people. If this interests you the next questions probably are: when’s it coming out, and who is going to be doing the voiceover? The honest answers are 1. Not 100% sure but probably November I should think, as production time is roughly two months. 2. I don’t know. It might be me, but while I’ll be being consulted about it the final decision for that lies with them. It’s a small concession for me to make, and I trust their judgement. The good news for this is also that I can schedule a simultaneous Amazon and Audible release for not only that book but HOW TO BE A VIGILANTE: A DIARY as well. All release dates will be confirmed soon, and pre-orders will be possible too. Those of you who want to join the launch team (advance copies in exchange for launch day reviews) get on the mailing list. For those of you who have spread the word and left your reviews, thank you so much. If you hadn’t made noise, this never would have happened. A Major Competition and a New Audiobook! Yes, the above audiobook is on its way very soon, as in hopefully-in-about-six-weeks soon. But you know what? That’s not the main reason I’m talking about this today. Here’s the main reason: how would you like to get a book from me that is the only one of its kind in the world? Once the novel I’ve been writing in parts for my Patreon subscribers – Kill Someone. Anyone – is finished, I’ll be preparing it for publication for the masses, and I want as many people as possible to know about it. So I had an idea for achieving that, and offering you guys a very unique prize for helping me do so. Firstly, let me tell you what you can win. Not only signed paperback copies of every single one of my paperback books – The Physics of the Dead, In The Darkness That’s Were I’ll Know You, A Head Full Of Knives, Weird. Dark., an upcoming secret novel (but more on that in a future email) and of course Caementum himself – but … the first ever print copy of Kill Someone. Anyone, signed by my good self. And you know what? That’s not even the main bit. 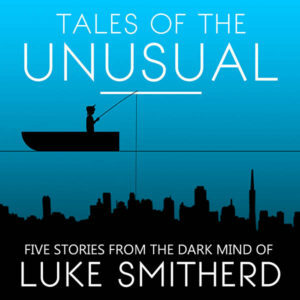 The rest of the Tales of the Unusual series – Do Anything (Closure and Your Name Is In The Book) He Waits (He Waits and Keep Your Children Close) and the mailing list signup story The Jesus Loophole are going to be released as a collected audio book (that you see at the top of this email) called, unsurprisingly, Tales of the Unusual. While it will be getting audiobook release very soon, it will never be available to the public in print form. There will, however, be ONE print copy that exists in the world …and it’ll be the winner of this competition that gets it. Signed too, of course. So that’s all of my print novels (including the two upcoming, as-yet unreleased ones) printed and signed, including the first ever print copy of KSA (signed) and a print copy of Tales of the Unusual that no one else will ever own, also signed. Sound good? I hope so, it’s gonna cost me a fortune to post. So …how do you win it? I’ll tell you. I want to get more people onto my mailing list, and I want you to help me. So I thought about what I could offer that would be really unique and special as a prize for doing so, and I came up with this. Ok. Think about people you know who a: are readers, and b: who you think would like my stuff. Picturing them right now? Got ’em? Good. Then, if you want to have a go at winning this, what you do is forward them the below link, which contains the usual mailing list signup form with a very important addition: a box where they can add the name of the person who referred them. That way, I know who the signup came from. The person who gets the most signups/completed referrals wins the bundle mentioned above! Second and third place runners-up get a signed copy of Kill Someone. Anyone! 1. Don’t just send an email to everyone in your address book. They won’t like it, and it’ll just create signups of people who have no interest in books anyway. Really think about who might actually want a free story at least (as all mailing list signups get The Jesus Loophole upon signup now). 2. Add a message to your email explaining why you’re doing it – as they’ll be more likely to help you – and tell them that, of course, they get a free story for signing up. “Hey, if you signup to this mailing list which hardly ever emails, you’d be helping me out and you’d be getting a free story from this writer I think you’ll like for your trouble.” That kind of thing. So, if you want a chance of winning, here’s the link to forward to your reader friends (that’s your reader friends!) Closing date for the competition (and your chance to win a pretty nice bundle including a book that no one else will ever own!) is July 26th. Good luck! The screen grabs speak for themselves. A big hello to any new readers finding me because of this!